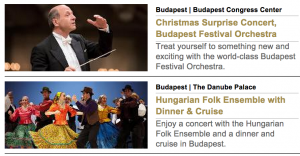 For more concert dates see the Dec 24 Budapest activities and the Dec 25 things to do in Budapest pages. 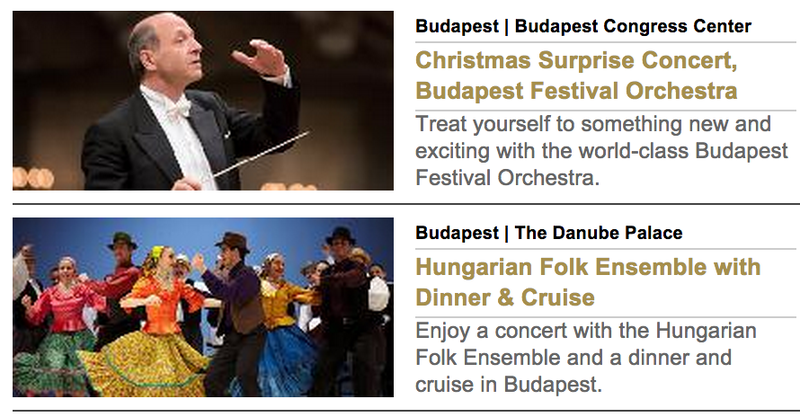 For more concert dates see the Dec 24 Budapest activities and the Dec 26 things to do in Budapest pages. The festive Christmas Chamber Concert of the Danube Chamber Orchestra will be a combination of chamber music and gala concert with a vast array of pieces, and dances. The venue is the prestigious Pesti Vigado by the river Danube in Budapest. The Christmas Gala Concert will take place on the night of Christmas Day, December 25. While most theatres and concert halls will be closed on Dec 25, this is a great opportunity to celebrate Christmas with music in Budapest. Booking: as any event during the Christmas days, booking in advance is warmly recommended. The concerts will be sold out by Dec 25. If you like classical music and would like to enjoy a very nice Christmas concert in Budapest, you can enjoy the Gala concert on Christmas Night (25th of December) in the beautiful Neo-Renaissance building of Danube Palace. The special Christmas music program was specifically chosen for celebrating the Christmas Night on Dec 25. The program of the Xmas concert includes well-known music Hungarian and foreign composers, like Strauss, Brahms, Monti, etc. The Christmas Chamber Concert starts at 8pm in the evening. The concert is 90 minute with two parts and an interval (2x 40-45 min). The repertoire of the Danube Chamber Orchestra covers almost every musical style from the Baroque music to the more modern music of the 20th century. The orchestra’s permanent theater is the concert hall of the Danube Palace, which is right behind the prestigious luxury hotel, the Gresham Four Seasons Hotel by the Chain Bridge. 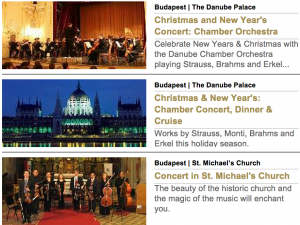 NOTE: Budapest will offer lots of music programs during the Advent period, but there are very few concerts and shows on Christmas Day (Dec 25) and on Boxing Day (Dec 26). Therefore, if you wish to attend to concert, do book in advance, because tourists spending their Christmas holiday in Budapest, and locals wishing to celebrate away from home, will quickly fill up the concert hall. The Duna Palota Orchestra is a frequent guest at the Franz Liszt Music Academy, at the Buda Vigado Concert Hall, at the Stephanie Palace and at the Convention Center of Budapest, Hungary. 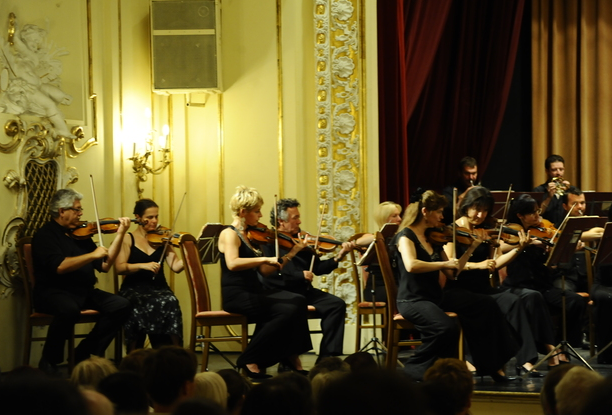 The conductor of the Duna Palota Chamber Orchestra is András Deák, but the musician often play with foreign conductors. Many Hungarian and foreign guest artists have performed with the orchestra, including Giuseppe di Stefano from Italy, James Galway, a flautist from Ireland and Ray Charles, the jazz star from the USA. They have given performances in Germany, France, Switzerland, the Netherlands and Italy.